There have only been a few times in my working life when at the end of the day I've looked back and thought 'Did that really happen?' Yesterday was certainly one of them as we kicked off a year long programme of work to harness the power of front line ambulance staff in developing ideas for change. At Glaziers Hall in London on the 28th June more than 150 front line ambulance staff (and a scattering of critical friends) working together using accelerated design techniques came up with in excess of 500 ideas for change, culminating in 16 'big ideas' that they then turned into films. Yep, you read that right, they turned their ideas into short films to make sure we captured every facet of their idea. The Design team had been creative and engaged. A "cross section" of Ambulance Service professionals from across the country including the Association of Ambulance Chief Executives. A real and true partnership had emerged over the planning driven by a collective desire to make change and drive improvement harnessing the power of front line staff. Boundaries were pushed in planning the day, rightly so, expectations were high, the work being commissioned directly by Simon Stevens (Chief Executive - NHS England). 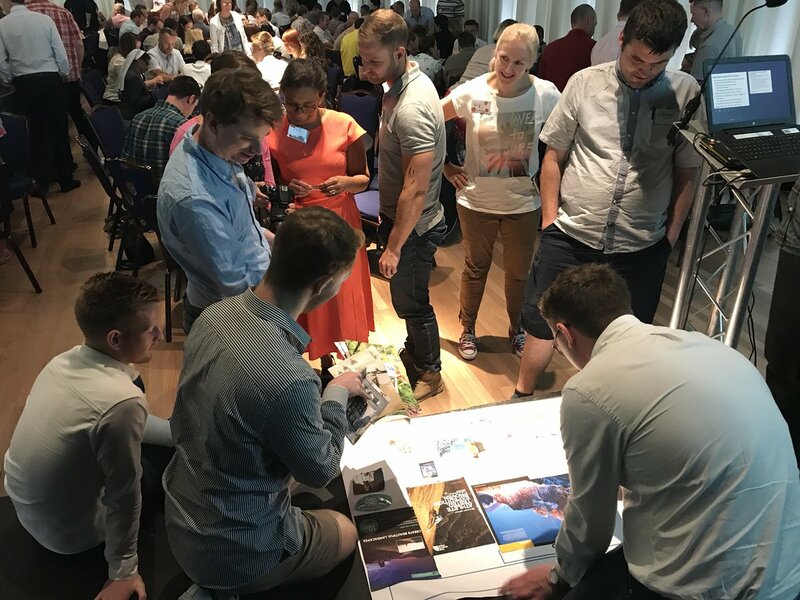 Nervous energy amongst the Design Team during the morning's briefing by Helen Bevan (Horizons' Chief Transformation Officer) was palpable - everyone wanted the day to be a success and play their part in making it so. We needn't have worried. Whilst planning can make the day run smoothly, minimise risk and ensure objectives are covered it is really the attendees that make a day like yesterday successful. The Ambulance staff arrived in the morning full of energy, eager to make new connections and discuss ideas for improvement. The noise and buzz, even at the welcome coffee was obvious and this collective sense of energy and agency carried through the day. Aspiring to the future, making collages, thinking of ideas, working out how best to turn the ideas into action, capturing the ideas in short films. Nothing fazed the ambulance service. Whatever was thrown at them by the Design Team and curated by Helen as facilitator, they immersed themselves within. So what came out of the day? There were 500 ideas and suggestions from the attendees and these were distilled into 16 themes, each theme then being worked up into a 'Big Idea' for change. These Big Ideas were presented in short films of only 90 seconds long, made entirely by the ambulance service attendees during the afternoon. You can take a look at the 16 big ideas here. All are great ideas that can be undertaken across any ambulance service. I am sure we'll see some of these (why not all?) actively come to fruition over the course of the next 12 months. Learning from each other - let's share what we do, make it grow. Looking after ourselves is essential - mental and physical health should be a priority for us [front-line ambulance staff] as individuals and our colleagues. The day provided a real sense of 'a start' and from the above we have much to build upon as we approach the next 12 months - #ProjectA is up and running we are definitely 'Go'. @AACE_org #ALF2018event Simon Stevens @NHSEngland "I will fund a 12 month programme with @horizonsnhs led by @helenbevan, to allow a cross section of frontline staff to share their experiences and gather a reflection of insights into the way #UEC is working on a daily basis"
Had a fantastic and inspiring day today in London @ #ProjectA. Totally out of my comfort zone but loved every second of it. Spent the day at the fabulous #ProjectA. Struck by two thoughts: 1) ambulance service perspective is same regardless of where we call home. 2)responsibility of ambulance services moving forward MUST be to coordinate unscheduled care and not get hung up on 'emergency' care.